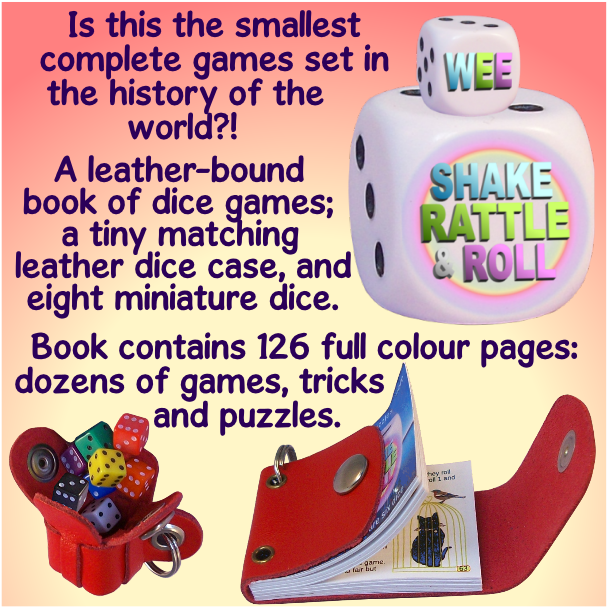 Is this the smallest complete games set ever produced in the history of the world? 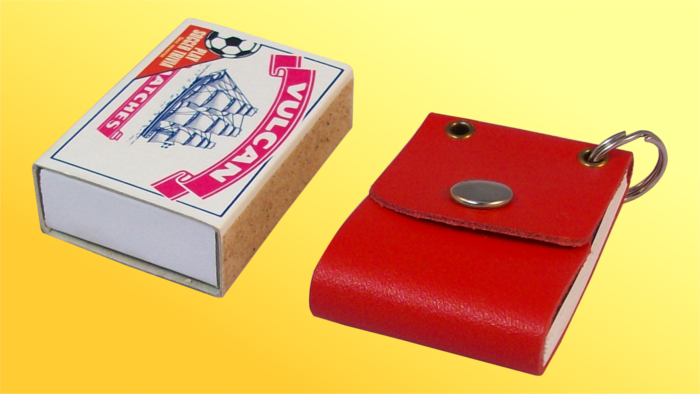 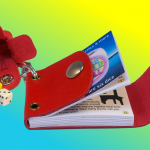 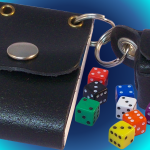 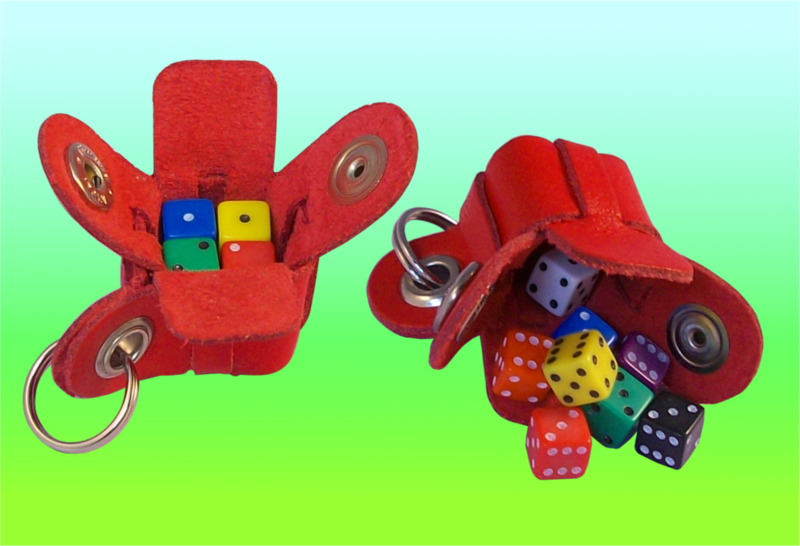 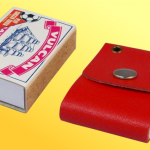 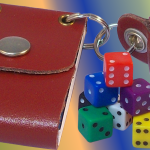 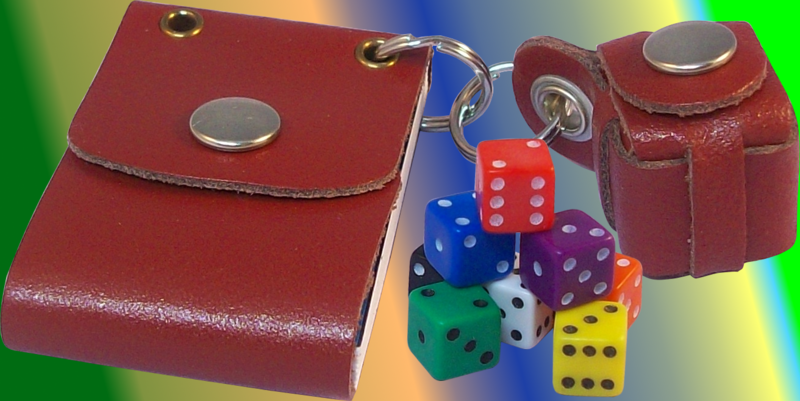 This handmade set consists of a leather-bound book, a tiny leather dice case, and eight dice. 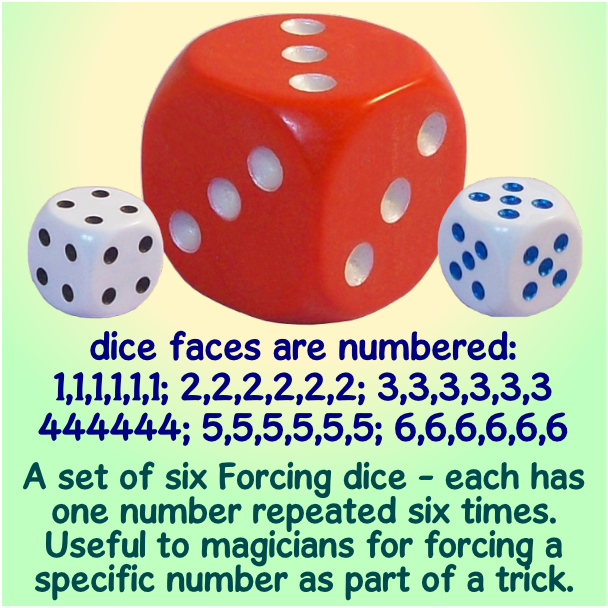 Nothing else is required to have hours of fun. 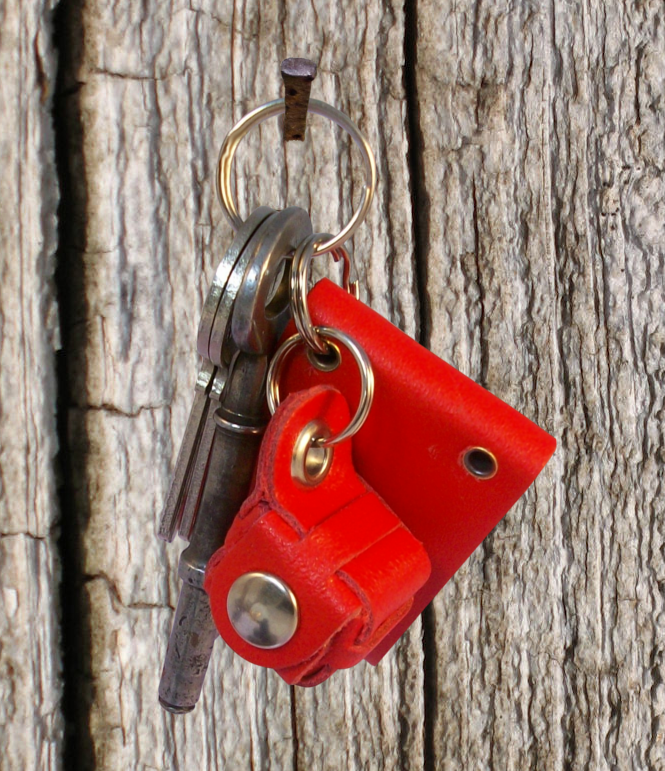 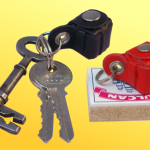 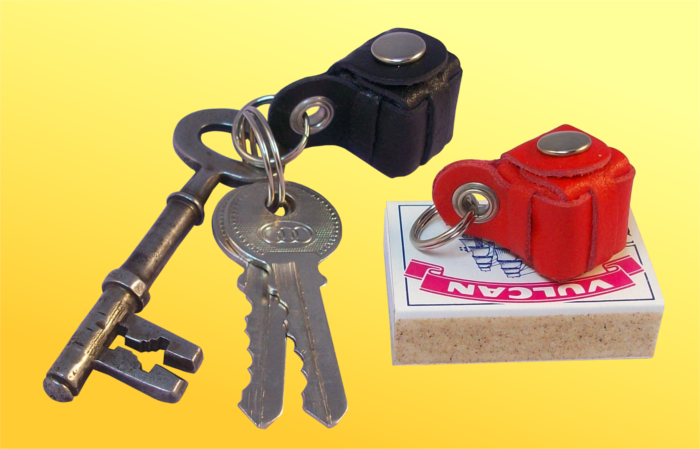 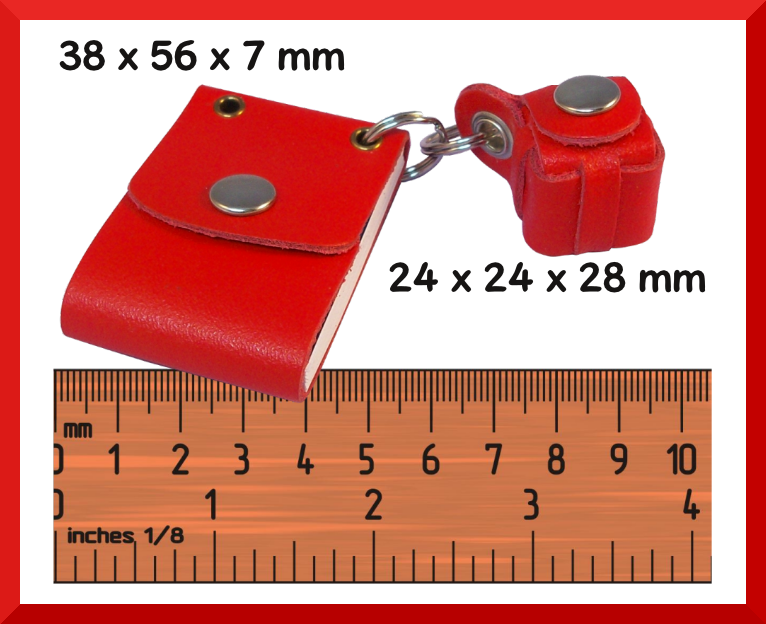 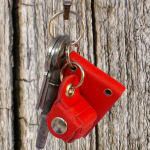 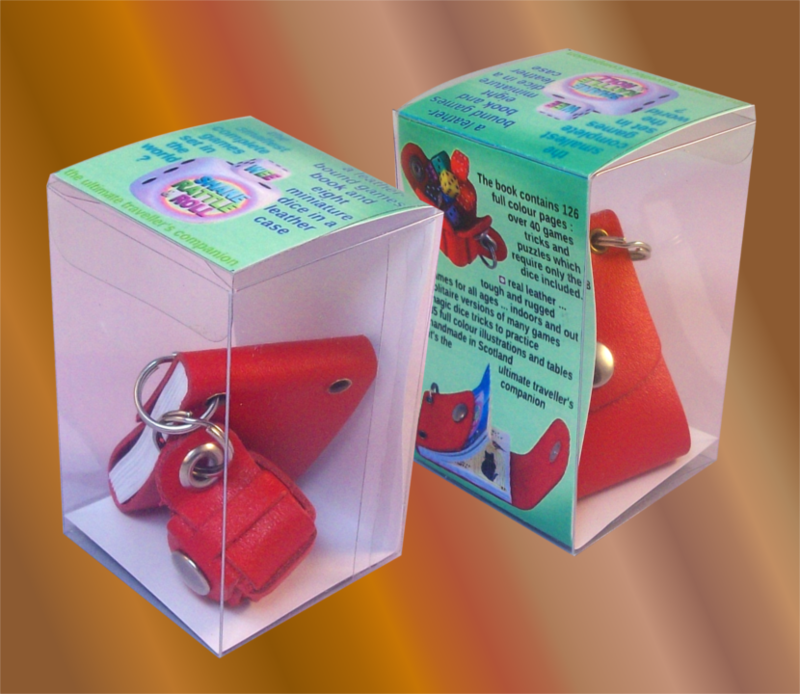 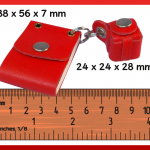 Attach it to your keyring, rucksack, or belt loop, keep it in your handbag or pocket. 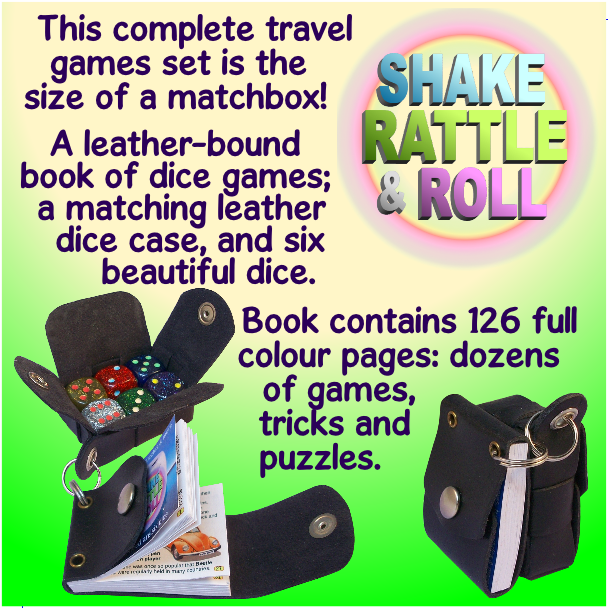 Great for travellers and holiday makers. 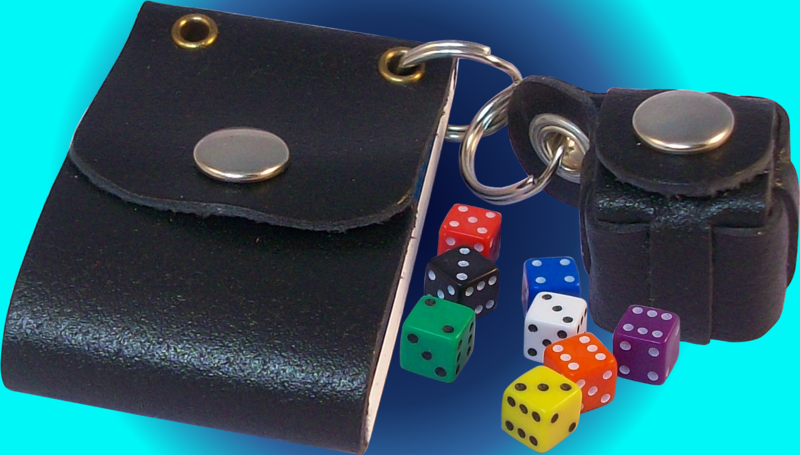 Always have some entertainment handy for long journeys, rainy days, or just lounging on the beach. 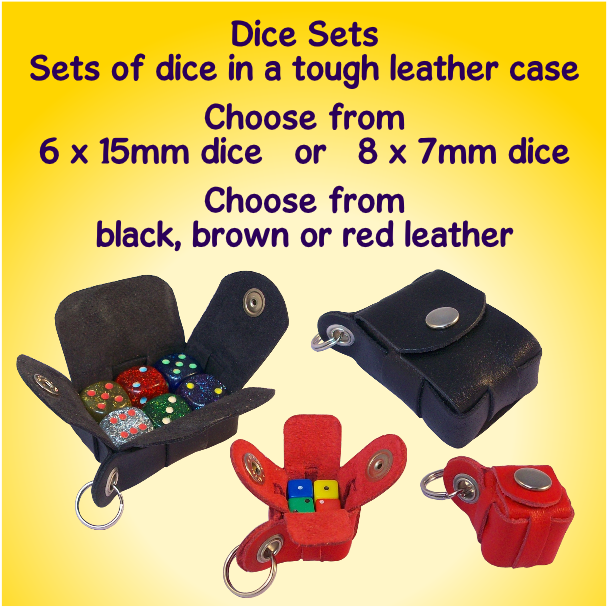 This tough leather games set will last a lifetime and improve with use. 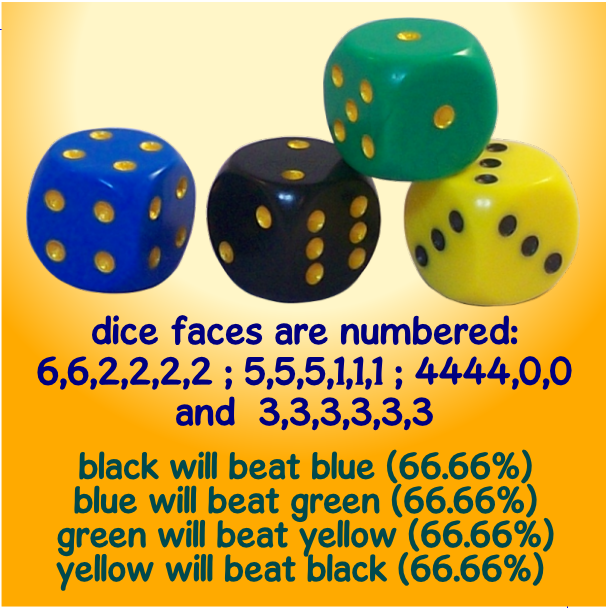 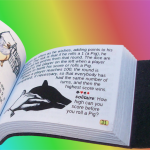 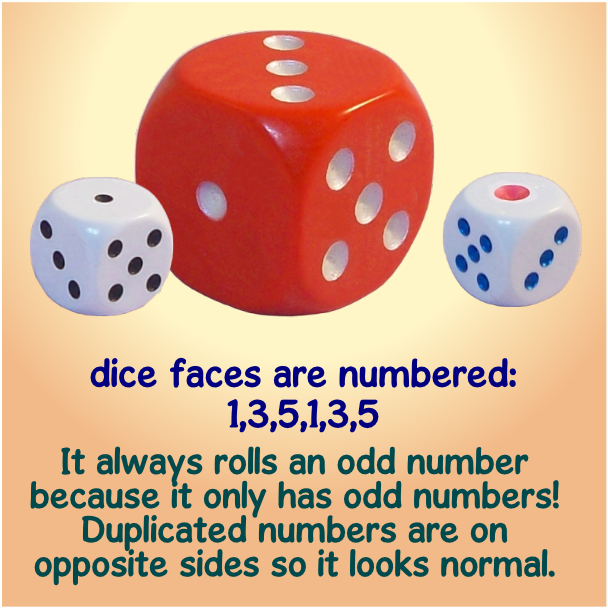 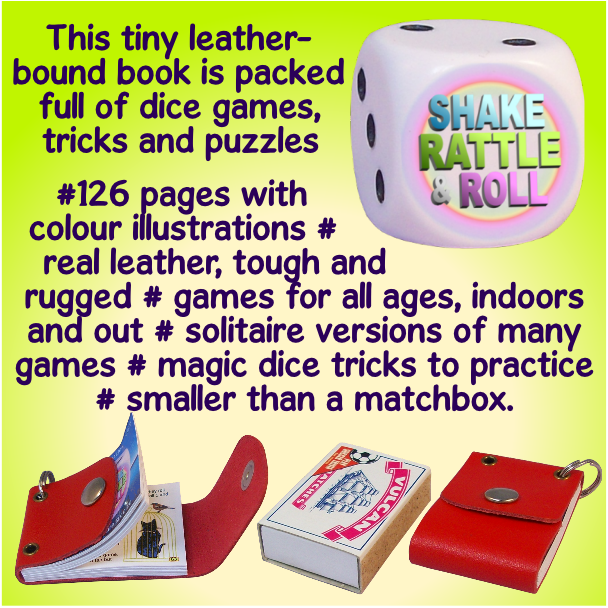 The book contains 126 full colour pages: over 45 games tricks and puzzles which require only the eight dice supplied. 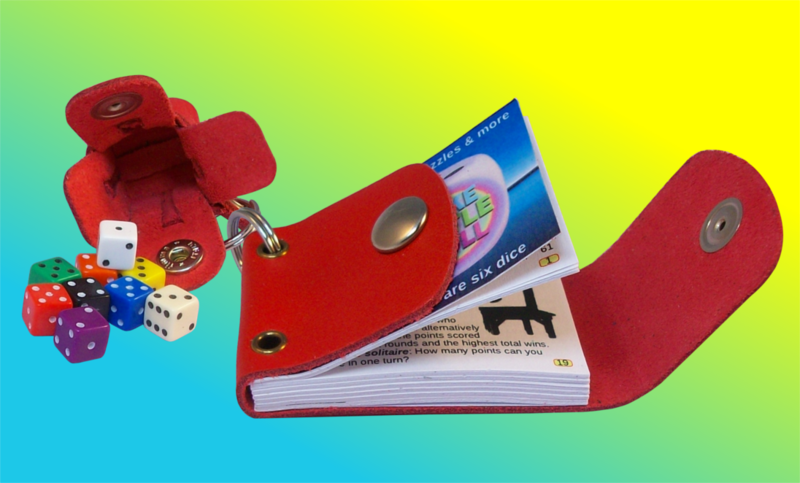 Both the book and the case incorporate a press-stud fastener. 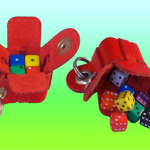 Each also has an eyelet and split ring which you can use to fasten the case and book together, or to attach them to your belt loop or rucksack. 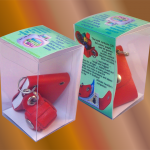 It comes packaged in an attractive crystal clear gift box.